Sometimes I get to the end of the day, and I feel like absolutely nothing was accomplished, even though I was literally running myself ragged all day. I am not sure how it is physically possible to be busy all day and still feel like I didn't do anything. I think there is a serious lack of rest in many of our lives, and I am no exception. I just did a Bible study at my church that was all about taking time to rest each day, because often God will work in our lives if we will just take a breather and slow down! I was definitely convicted, and I'm hoping to share more of my thoughts on rest in future posts. Another problem with not taking time to slow down is that when I get too caught up in the busy, it is easy to let time with the Lord fall by the wayside - and that is not okay with me. I want to make sure I am being a good example to my kids, and I also cannot adequately pour into my kids when I am not taking that time to be filled up with His Word. 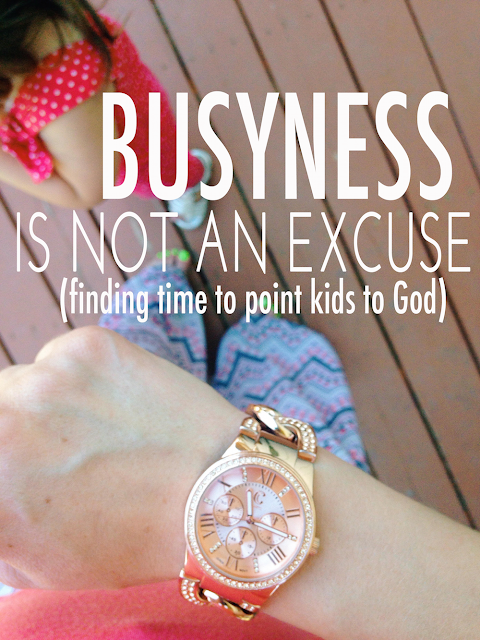 On really bad days, I may even neglect to spend focused time pointing my kids to the Lord. And I hate that. The one thing I definitely try to make sure gets done each day is Bible time with my kids. The best way to make sure I don't neglect the spiritual training of my kids is to be intentional about incorporating conversations about Jesus into our everyday routines. On those especially crazy days, I make sure we at the least read a Bible story, talk, and pray before bed. You all know I am a big fan of Bible storybooks, and we just got a new one that is perfect for those days when things are crazy! 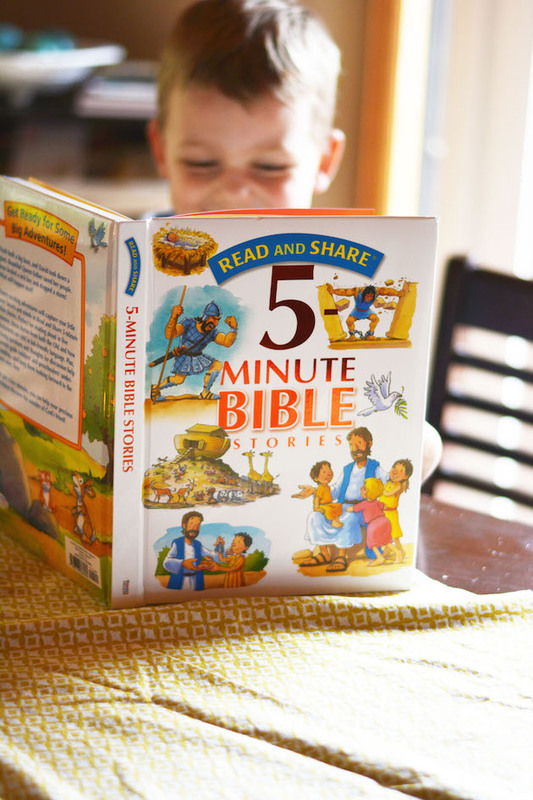 The Read and Share Five Minute Bible has short Bible stories that are perfect for reading to your kids in any of those spare moments you can get through the day. Honestly, it takes us about a minute to read each story, so we usually end up reading several at a time anyway. The kids love the illustrations! We actually also have the video version of this book, and I really love having both because I think my kids tie the stories together better when they can watch it on TV and read it in a book as well. However, the Read and Share 5 Minute Bible storybook (or video) can definitely stand alone. I think this is the perfect Bible storybook to incorporate into a family Bible time in the morning, which is something I would really like to start implementing in our family. I think it would be great not only for me to be consistent about doing my own morning devotions (which I am trying to get better at), but also for all of us to start off the day on the right foot together. This book is big enough that all the kids could see the pictures while they eat breakfast, and the short stories are perfect for the high energy that the kids have in the mornings! How do you incorporate conversations about God into your daily routines? I am also on Tommy Nelson today talking about that very subject, so head on over there to read my thoughts! You can also follow me on Instagram and find the giveaway photo I have posted on there for a chance to win a copy of the Read and Share Storybook Bible! 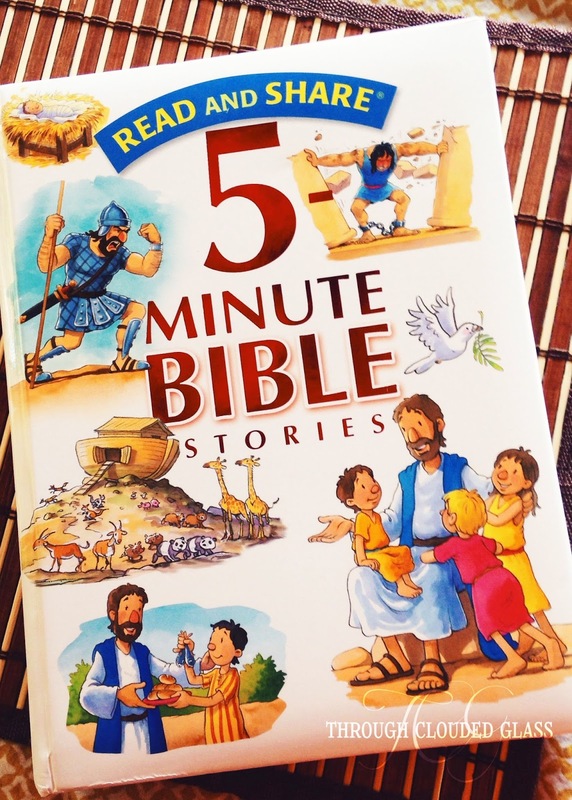 Note: I received the Read and Share Five Minute Bible Stories book for free from Tommy Nelson in exchange for an honest review. This is so great! I just wrote a post the other day about being too busy for God (and how much it sucked that I hadn't put forth the effort to make time for Him). I need to find a good 5-minute devotional for adults. Really love this- I want to be more intentional in this area with my kids! 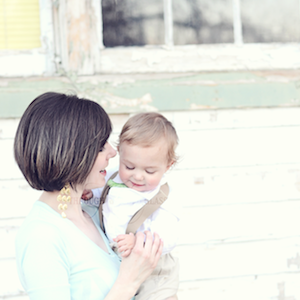 Proverbs 31 just released an app called First 5. I haven't used it, just heard the buzz! Thanks Keri! It's something I'm definitely still working on! Hmm, I'll have to look it up!